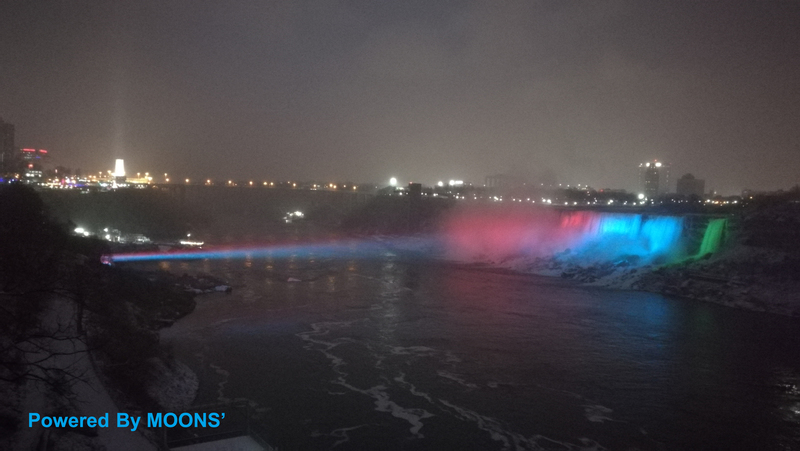 Early on the evening of December 1st, a $3.1 million USD LED lighting system was unveiled at Niagara Falls, one of the 8 Wonders of the World, was transformed into the colorful world. The 21 Xenon searchlights have been replaced by 1,400 individual luminaires. The maintenance-free lighting will reduce energy consumption up to 85 percent, boost the colors up to 14 times brighter. The upgraded lights will have a 25-year life span, compared to the old lighting which had a 1,900-hour life span. 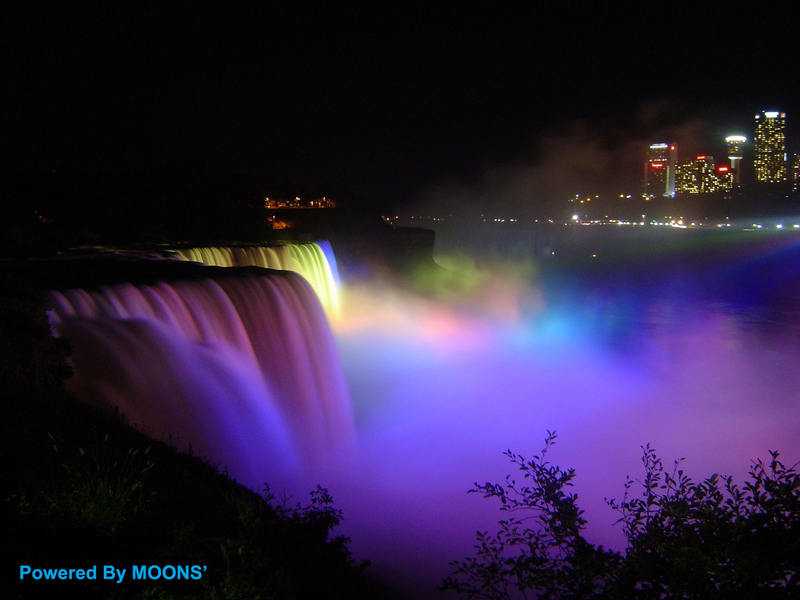 The LED lighting system brings color and movement derived from nature – sunrise, sunset, aurora borealis. 1,400 individual luminaires were broken into 350 zones of control across both falls. Each individual zone is equipped with red, green, blue and white LED luminaires. When used together, these lights will be mixed to create color combinations. 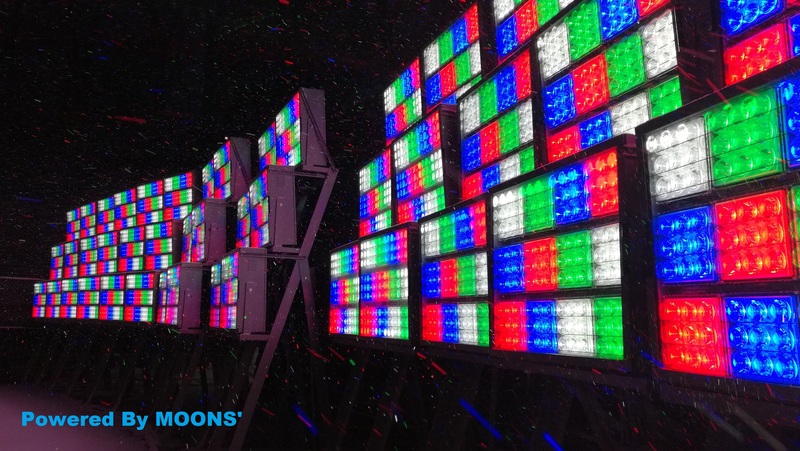 1,400 MOONS’ 50 watt DMX drivers with16 bits resolution are controlled by a visual system. This transformation was accomplished through a consortium of an international partnership, spearheaded by Salex (a leading architectural lighting firm headquartered in Toronto), ECCO Electric Ltd, (Canadian electrical construction firm), Mulvey and Banani Lighting (a subsidiary of the Canadian electrical engineering giant), Scenework ( leader in performance & architectural industry), Shanghai Moons’ Automation Control, Co., Ltd. (a leader in intelligent and programmable LED drivers), and Stanley Electric Co., Ltd. (Japanese lighting behemoth of LED’s, LED modules and optics).